The tools available to event planners to manage events have become smarter, more sophisticated and more widely available. Download our guide for 2017. With expanding event planning technology, the software for event management, provides more benefits now than ever before. Your event technology solution providing you with any necessary information to add value to your company. Do you have what it takes to make the correct decision on your ideal event software? Have you done enough research? Look no further as the Event technology 101 will provide you with your ideal event technology solution you require. 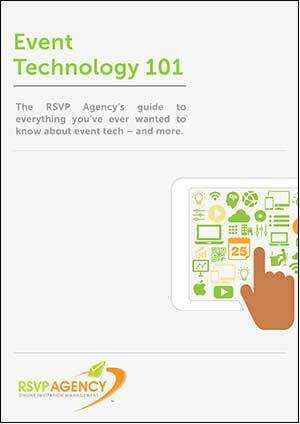 The RSVP Agency's guide to everything you've ever wanted to know about event tech, placing the event management technology solution in your hands. How can we help you add value to your business?